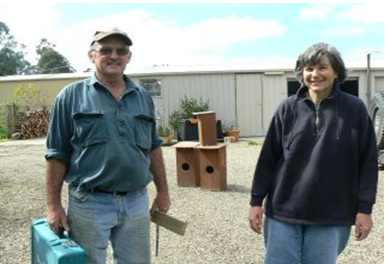 Kath Tripp's property was devastated by the 2009 bush fires except for her home which the CFA were able to save. 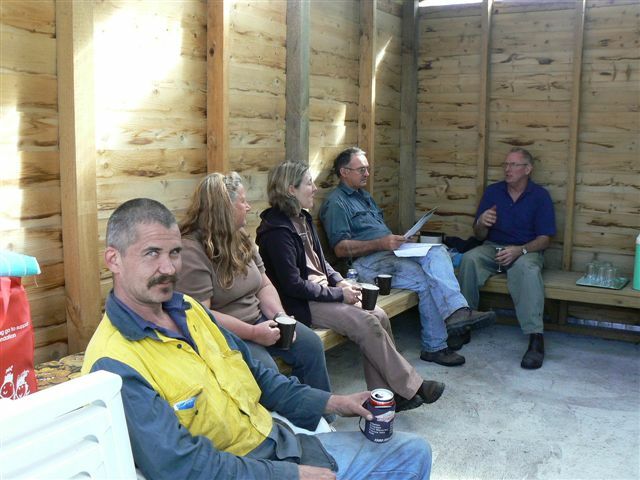 In September 2011 the Group held a working bee at Kath's to help clean up and plant trees. 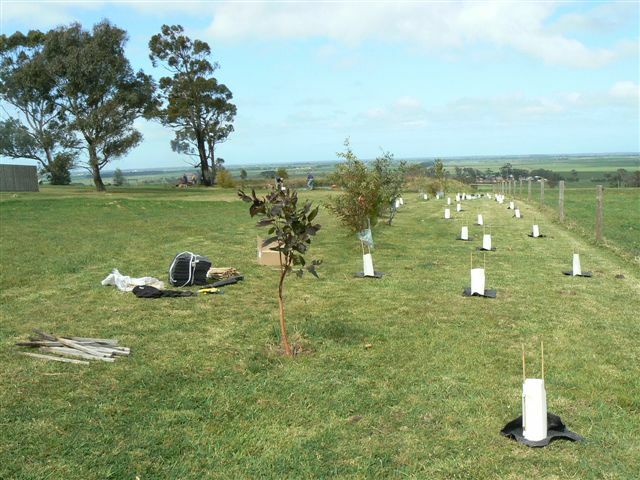 Tree plantings on the Western boundary. 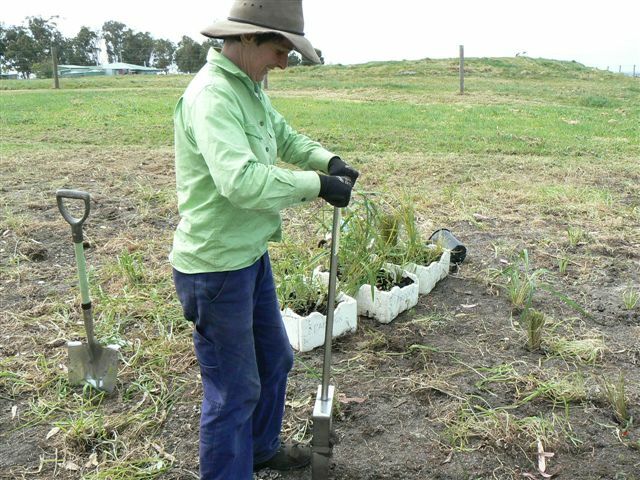 Jenny plants out an area previously infested by Capeweed following the fire. 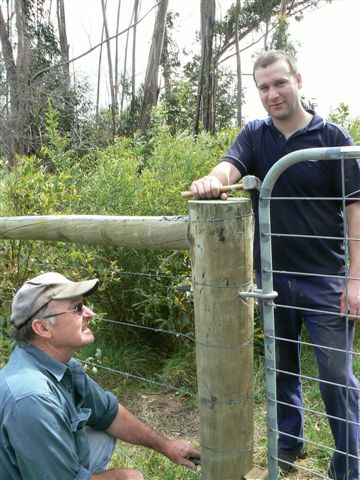 Kevin and Paul rehang the gate. 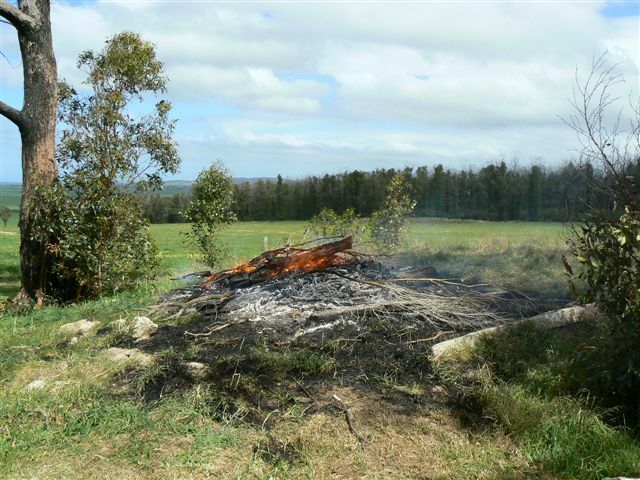 Dead plant material collected in a pile gave some of our members with a pyromaniac tendency a chance to rid their frustrations!! 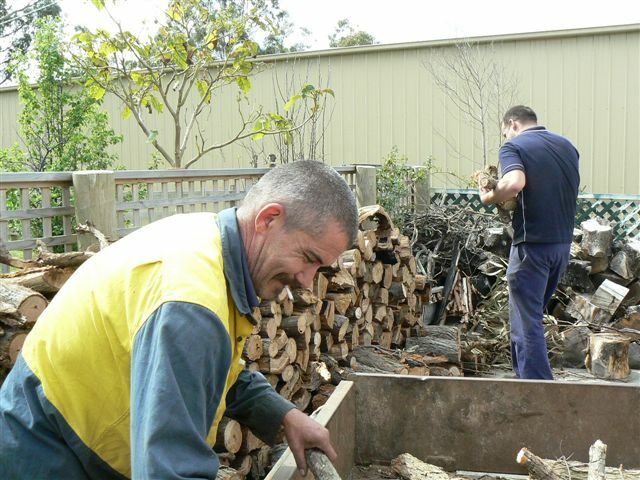 Mark and Paul increase Kath's firewood supply by a couple of years. Les digging himself into a Hole? 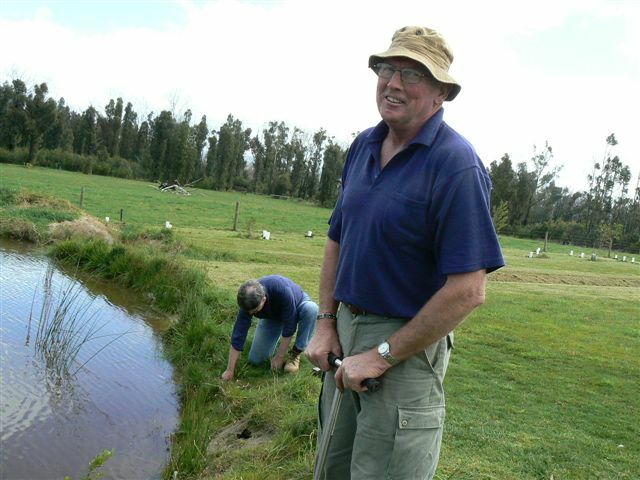 No just planting around the dam. Well not really working but enjoying a late BBQ after it was all over. Kevin ready to install bird boxes - under Kath's instruction.